The following example demonstrates how to create a RadCartesianChart with horizontal BarSeries. 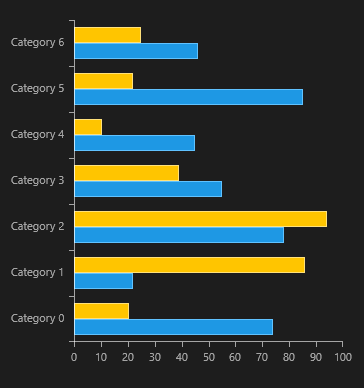 Create a bar chart with swapped axes. Set the chart data context.